• CMS finalized its proposal to pay for chronic care management (CCM) services in 2015. CMS will use Current Procedural Terminology code 99490 for this purpose rather than create its own “G” code. • CMS further expanded the list of services for which it will pay when provided via telehealth. The expanded list of services includes the Medicare Annual Wellness Visit. • CMS finalized its proposal to transform all 10- and 90-day global surgical codes to 0-day global surgical codes. CMS will begin with 10-day global services in 2017 and follow with the 90-day global services in 2018. The final rule shows a 1 percent increase of the Medicare allowed charges of family physicians in 2015, based on all of the provisions in the rule. But it also reiterates that the Medicare conversion factor, which is $35.8013 through March 31, 2015, will decrease 21.2 percent to $28.2239 on April 1, 2015, under the current sustainable growth rate (SGR) unless Congress acts to change that in the interim. Lawmakers have typically made that change in past years, but the changing politics of Congress makes this an uncertainty. 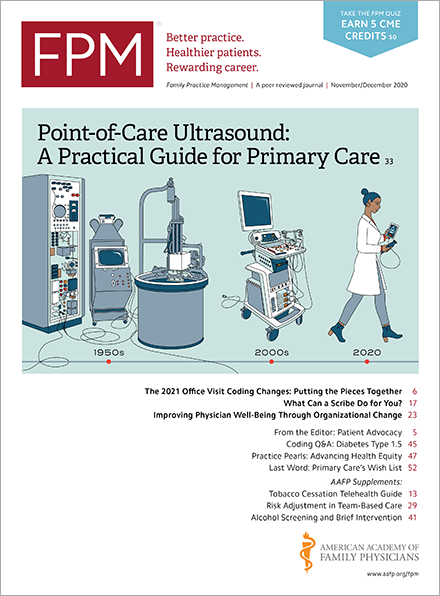 Look for an article and tools to help take advantage of Medicare’s CCM payment in the January/February 2015 issue of Family Practice Management. You can find a fuller summary of these and other provisions of the final rule on the American Academy of Family Physicians’ web site.